Investment Roads – Choose Your Way to Success! Are you looking to find what is the best way to invest nowadays? May be you want to know how to invest money the right way to create a nice retirement cushion to live off during your golden years? The InvestmentRoads.com is here to help you along the way. InvestmentRoads.com provides common sense investment tips so your money can start working for you and not against you. 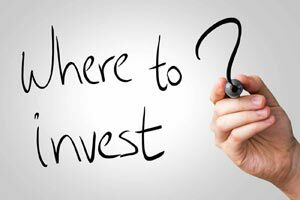 There are lots of investment tips out there written in a language that not every newbie investor can understand creating a lot of frustration and confusion. Our editors are committed to providing investors of all levels with comprehensive and down to earth ways how to invest money in today’s turbulent economy in a language that is easy to understand and follow. No matter what your investment strategies and goals are, you can always find the information you are looking for at our site. 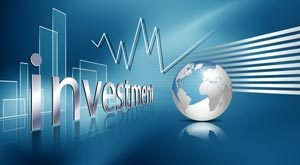 Our website has a plethora of articles covering multiple investment topics ranging from investing in the stock market, bonds, mutual funds, real estate investing, retirement planning and even FOREX trading. It also provides data for financing options, credit card frauds and other general finance related information. We have done the extensive research and came down with several main strategies of smart investing regardless if you are just starting to build your investment portfolio or you have accumulated an extensive number of investments. Live within your means. It really does not matter how much money you make, what matters is what you do with your money. Interestingly, some highly compensated professionals making six figure salaries still find themselves living from paycheck to paycheck and simply cannot afford losing their jobs to continue paying for their extravagant lifestyles, while others much less compensated individuals still find ways to invest money into retirement by living frugally. Living within your means and investing at least 15% of your annual income are the most crucial investment tips allowing you to accumulate funds that could later be used to expand your investment portfolio when the right time comes. According to Warren Buffet, the famous investment guru, having cash in your savings accounts and using it in a down market is a very powerful tool enabling you to acquire great assets for a very fair price while others are selling. Devise your investment plan. No investment adviser can help you if you do not have your personal, clearly defined investment plan. This plan will summarize your short term and long term investment strategies, personal goals and the future of your family. The plan will help you create an idea of where you want to be in 5, 10, 15 or 20 years. Are you trying to create a better retirement planning or are you trying to save for your child’s college education, or perhaps you simply want to retire early to enjoy traveling or trying something new in life? Your investment goals should be properly tuned with your personal plans. Are you a risky investor who can withstand taking a little more risk or you want a low risk long term investment for the future? Depending on these answers, you can come up with your personal investing strategy. Diversify. Enough has been said about the importance of diversification, however, it’s still worth repeating ourselves that proper diversification is the key to long term investment. A properly diversified portfolio can withstand market ups and downs because when one market sector is going down, the other one is coming up in price. A good example is stock market investing vs. investing in precious metals. When the economy is flourishing, precious metals prices take the downward curve. And when the economy takes a big dip, the precious metals prices are coming up. A similar example is bond investing and stocks. These almost always go in opposite directions based on the current market situation. Diversifying your portfolio is the best way to preserve your assets in the long run and among the best investment tips we can give. Use credit loans wisely. Any investment portfolio can benefit from using healthy leveraging. Overleveraging, on the other hand, can increase your risks and can virtually destroy all of your investments. From student loans, to investment and home equity loans, make sure that they will truly help you increase the value of your assets, land a better paying job or develop your business. Do not go into debt with unrealistic expectations, or fund an extravagant lifestyle and when you do not know what you are doing. Check our articles out to learn more how to use your money for investment the smart way regardless of what road you are going to choose!